Noah Trailer: Cheesy And Overlong, Or Epic And Awesome? 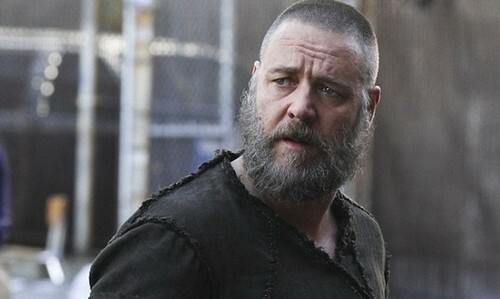 The full-length Noah trailer, directed by Darren Aronofsky and starring Russell Crowe, has been released. The film is a ‘re-imagining’ of the dark Biblical tale of Noah and Noah’s ark, surrounding the character’s survival from the flood that wipes out most of mankind. The movie looks like an exceptionally dark version of the original story, but it still doesn’t really pique much interest. There’s some vivid and cool imagery, definitely, but doesn’t the story seem lackluster? I’m not able to understand the central conflict beyond some of the neighboring villagers trying to come and stop Noah from working on the ark… because they told him not to? And then they all try to get on the ark when the floods come?Again, the visual effects look fantastic and Aronofsky is a master of messing with your mind – so even if the scenes look somewhat cheesy, maybe they won’t turn out that way in the movie? But still, they’re trying to sell the film as an epic without having earned it just yet. The credibility of the director and actors is the only reason I’m still interested in the film, but I think the last thing the public wants is another CGI-fest movie with no plot and overly Biblical undertones. Noah stars Russell Crowe in addition to Jennifer Connelly, Logan Lerman, Emma Watson, Douglas Booth, and Anthony Hopkins, and releases on March 27th, 2014. Has the trailer piqued your interest and will you be watching the movie when it comes out? Let us know your thoughts in the comments.